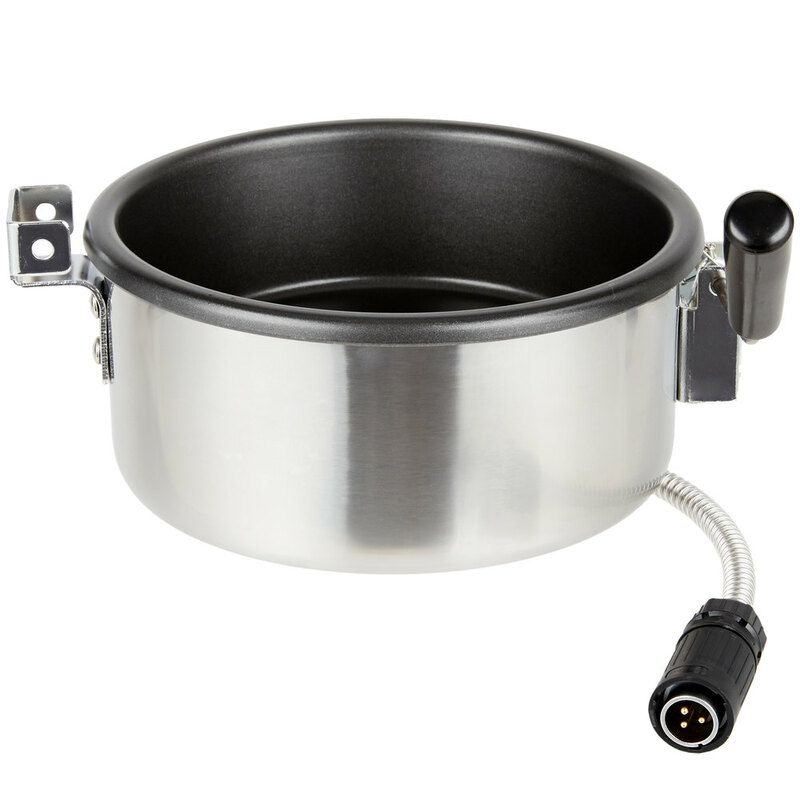 If your popcorn popper's kettle has become damaged during use or cleaning, replace it with this Carnival King PM3KTLETL to keep your unit up and running for as long as possible. This stainless steel kettle is a direct replacement for the one that came with select Royalty series poppers and offers all of the same great features. With a large, 8 oz. capacity, this kettle holds plenty of popcorn kernels so that you can always keep up with your customers' demand for their favorite crunchy treat. Please Note:This replacement kettle is designed for use on PM30R units that are ETL Listed. It will not work on old-style units that are not ETL Listed. Please check the plug connection style prior to ordering to make sure that this kettle will work for your model.